When tragedy struck Riki as a child, four other kids recruited him for their group - the "Little Busters." Now in high school, their vision of being heroes for justice may have faded, but they’d still do anything for each other. Which is why Riki is on TWO special missions: 1) Recruit new (preferably female) members to form a baseball team, and 2) Figure out why he and Rin are receiving odd messages and tasks concerning the existence of a secret world. 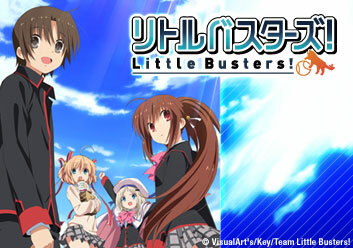 Riki may need the strength of a superhero to talk to girls and solve the ultimate mystery of the Little Busters! 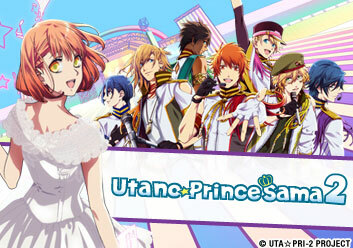 Riki, Masato, and Ryousuke are no strangers to shenanigans and all the trouble that comes with them! After a strange fight involving random objects and a white cat, the trio decides to from a baseball group. Komari Kamikita, a clumsy girl who loves cats, will soon be the newest member of the Little Busters. When she exhibits no athletic ability, she is comforted by Kyousuke's insight: the only thing you need to have to play are guts, bravery, and friendship. Morning practice turns into a day's events of chaos. But all's well that ends well when the Little Busters welcome a new member to the team. Komari has a past that she can't quite remember. While Komari's dreams about her brother become more frequent, Riki continues to visit Kojiro in order to learn more about Takuya. Komari finally remembers Takyua's death, and she retreats into a state of shock. Riki wants to save her and help her finally come to terms with what happened. Episode 7: Now Then, Guess Who! Riki sets out to find more members for the team. Episode 8: Let's Look For a Roommate! Riki, Rin, and Masato go to great lengths to make sure their newest team member gets what she wants: a roommate. Episode 9: Save the Cafeteria! A letter arrives tied to the same cat as the last letter. It instructs to "save the cafeteria." When many of the cafeteria workers don't show up to cook dinner, the group does their best to stand in. Riki is tasked with finding the final member of the Little Busters. 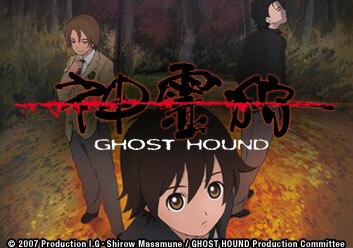 To test the team's courage, Kyousuke sets up various traps within the school. Mio becomes the team's new manager. 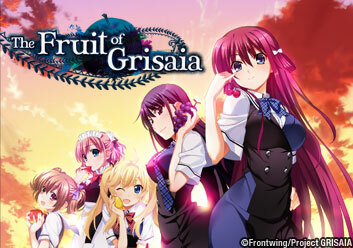 Riki sees a girl in the courtyard who looks just like Mio...but she disappears. Later, a shocking secret is discovered about Mio. Riki is certain that he'll never forget about Mio...that is until Midori messes with his memories of her. Now Riki is unsure of what is real and what is not. Episode 15: Hell Yeah, This Totally Rocks! Riki becomes a hostage of the girls on the team. Haruka goes before the disciplinary committee who accuses her of things she did not do. 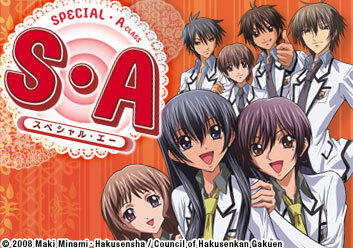 Haruka tells the story of her past and worries that her friends will abandon her once they know the truth. Haruka builds the courage to confront Futaki; what Futaki shares in response might change the dynamic of the Little Busters forever. Practical exams are fast approaching, and the Little Busters must help their teammate pass! Rin continues to battle with another teammate, but all the bickering is set aside when they receive another mysterious message. The team works together to clean their clubroom. Later, everyone learns a bit of surprising and interesting history about Kudryavka. A rebellious group are looking to lay blame on anyone connected with the space program. When Rin's next challenge is delivered, Riki becomes increasingly suspicious at the timing of the deliveries. The time has come for the Little Busters' first match! Facing a number of obstacles, the Little Busters get ready to play ball! To everyone's surprise, Kengo is enthusiastic about being on the team. Later, everyone congratulates Riki on being the new leader, and the team prepares for its final game!